The plant that has the common name of "amaryllis" actually isn't an Amaryllis at all. 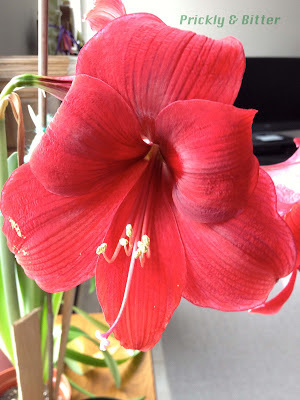 The common ornamental species of Hippeastrum (there are approximately 90 species in the genus) are native to tropical and subtropical regions in the Americas, from about Mexico and the Caribbean south to the northern half of Argentina. The appearance of the flowers of this genus can be wildly different, but they all have three things in common: the plants are called "bulbous perennials" (they flower every year from a bulb and live for many years), the flower stalk is the first green part to emerge from the bulb, and all of the flowers have 6 tepals (3 petals and 3 sepals which are indistinguishable from each other once the flower is mature). The true Amaryllis, however, is native to South Africa and is starting to become more and more common throughout the world as ornamental species. The two genera are morphologically similar, but they can be easily distinguished if two species are side-by-side. They were both thought to originally belong to the genus Lilium, which contains all of the "true" 6-tepaled lilies, but DNA sequencing has shown that this is definitely not the case (it was no longer believed to be the case, even before their genes were sequenced; all lilies are highly toxic and have very different growth morphologies than either the amarillii or "amarillii"). There are significantly more issues with the taxonomy of these two genera, but I'm not going to get into that; if you want to read about the issues, you can read the "taxonomy" section of the Wikipedia article of Hippeastrum HERE. 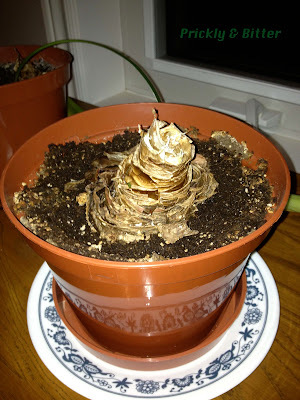 One of the aspects of the indoor amaryllis that makes it such an ideal houseplant is the ease of growing it: put the bulb into some soil (it can be significantly less soil than you think should be able to support how big the plant will actually get), put it in a window, and water it once a week. Seriously! That's it. Some bulbs take longer than others to flower the first time because of the amount of nutrients it managed to acquire the season before; if it doesn't flower right away, give it some time and perhaps put it into a sunnier, less drafty window. The roots will become well-established and will funnel nutrients to the bulb, allowing the flower stalk to start to emerge. It is green when it first starts growing, producing sugars for the rest of the plant to use as fuel for growth. Not long after the flower stalk emerges from the bulb the leaves will start to grow, and within a few weeks you should have something that's starting to look very much like a traditional amaryllis. The varieties and cultivars used for their ornamental value and packed in boxes in November and December are usually grown for their enormous flowers and very long flower stalk; this is typically not how the plants would look in nature (and the last image should give you a hint why if you're observant). 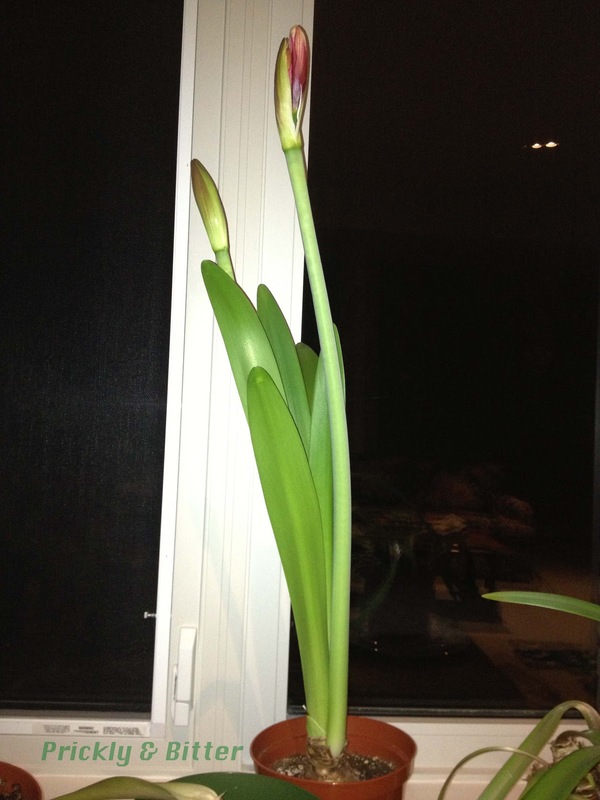 The height of the flower stalk and the weight of the flowers is far too much for the plant to handle on its own, and you're going to need to resort to staking up your plant unless you want soil all over the floor! Once the flower stalk is done flowering, you might be lucky enough to get seeds produced, which you can plant in new pots and get new plants growing from seed. 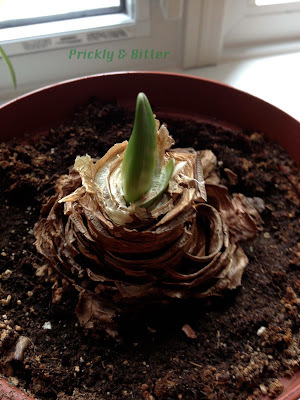 Be warned, however, that the offspring will likely look nothing like their parents; genetic recombination that occurs during fertilization means that genes will be shuffled and some that produce the ideal flower and plant morphology of the bulb you bought in the box will be lost. 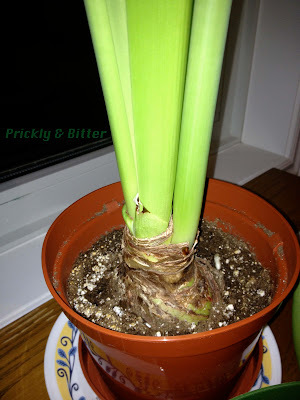 Once the flower stalk dies, clip it off at the base and allow the leaves to continue to grow and produce sugars that are stored in the bulb (this is where it's important to ignore all information about how to properly grow an amaryllis that's on the box). The leaves will gradually yellow and start to decay; that would be a good time to pull them off the bulb (they should detach very easily at the bulb). Eventually, you'll be left with just a bulb in a pot. Water the bulb very sparingly (as in, not at all or once a month at most) until December rolls around again, and then water it whenever you remember, but no more than once every couple of weeks. 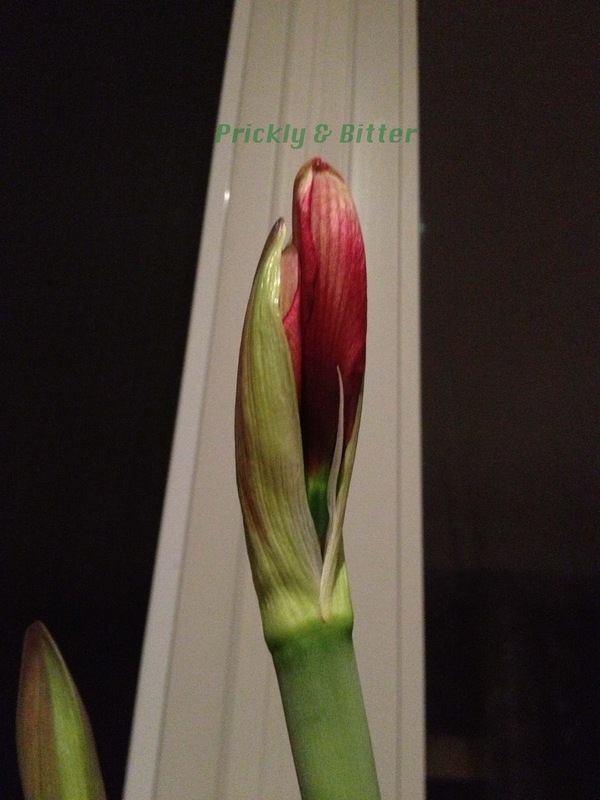 Once it's ready, it will start to grow a new flower stalk. Water once a week, and voila! A new flower. Don't get discouraged if it doesn't flower again the second year; some varieties can only afford to flower every other year because of the number of resources it requires to produce the flowers.